Please note: We will not test males under 18 months of age or females under 15 months of age, as we believe that data collected under these ages is not reliable or necessarily representative of an adult alpaca. You will receive a kit containing everything needed, including the biopsy punch, bottle with formalin, baggie for the fleece sample, addressed padded bag for return of the sample, instruction sheet, information sheet and checklist. 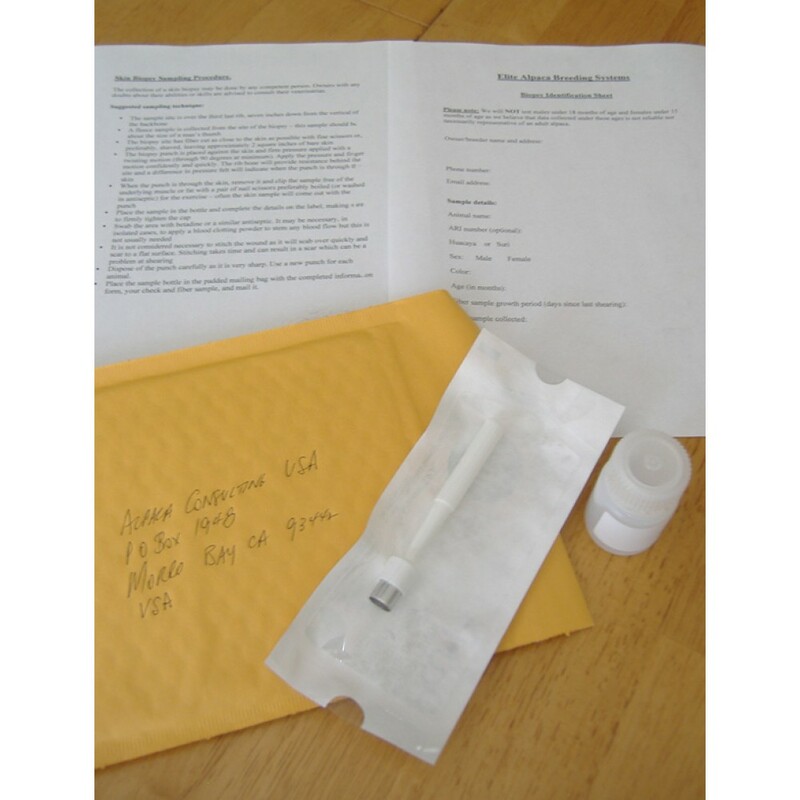 You will receive a written report and histograms by direct email with the fleece sample test data put on a breeder webpage at www.alpacastats.com. The collection of a skin biopsy may be done by any competent person. Owners with any doubts about their abilities or skills are advised to consult their veterinarian.